When Isaac Harris and Max Blanck met in New York City in their twenties, they shared a common story. Born in Russia, both men had immigrated to the United States in the early 1890s, and, like hundreds of thousands of other Jewish immigrants, they had both begun working in the garment industry. 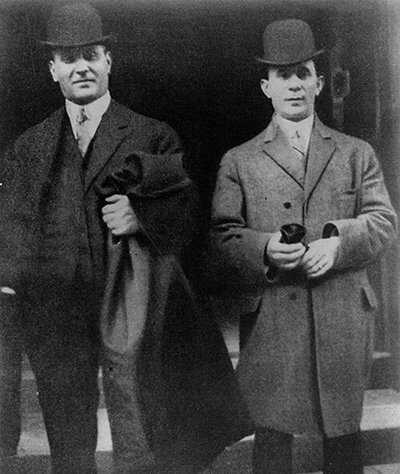 After a decade, the two men entered a partnership that would propel their careers and earn them the nickname of New York's "Shirtwaist Kings." Upon arriving in America, Harris used his skills as a tailor working in immigrant sweatshops, and he became familiar with popular designs and fashions. Blanck was more of an entrepreneur, and by 1895 he had become a garment contractor, collecting cloth from large manufacturers and producing blouses for less money. At the age of 25, he married a fellow Russian immigrant whose cousin was married to Harris, and the two men finally met in the late 1890s. Harris and Blanck were compatible, and they decided to enter a partnership that would capitalize on Blanck's business sense and Harris' industry expertise. In 1900, they founded the Triangle Waist Company and opened their first shop on Wooster Street. At the turn of the century, the shirtwaist was a new item. Styled after menswear, shirtwaists were looser and more liberating than Victorian style bodices, and they were becoming popular with the burgeoning population of female workers in New York City. Harris knew the details of garment production and the machinery involved in making a cost effective and worthy product. Blanck was the salesman, constantly meeting with potential buyers and traveling to stores that carried their product. They took advantage of new technology, installing mechanical sewing machines, which were five times faster than those run by a foot pedal. They priced their shirtwaists modestly, averaging about $3 each. In 1902, Harris and Blanck moved their company to the ninth floor of the brand new Asch building on the corner of Washington Square in Greenwich Village. Harris designed the layout of the sewing floor himself, placing the tables in a way that would minimize conversation among the workers in an effort to increase productivity. In 1906, the successful company expanded to the eighth floor. 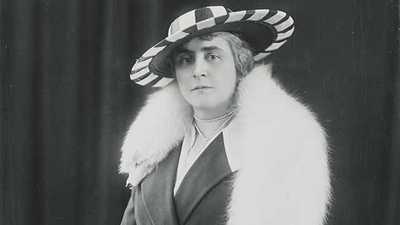 As their status grew as shirtwaist makers, Harris and Blanck enjoyed more lavish lifestyles. Both men moved from cramped apartments on Manhattan's Lower East Side to large brownstones on the Upper West Side that overlooked the Hudson River. Harris employed four servants in his apartment; Blanck five. By the end of the decade, both arrived at their factories via chauffeured cars. 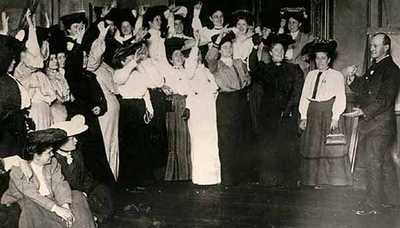 The partners expanded, opening shirtwaist factories in New York, New Jersey, and Pennsylvania. Blanck partnered with his brothers and opened more around the country. By 1908, sales at the Triangle Factory hit the $1 million mark. Harris and Blanck purchased the 10th floor of the Asch building for their administrative offices. Producing more than 1,000 shirtwaists a day, the Triangle Factory had become the largest manufacturer of blouses in New York, earning Harris and Blanck the nickname "Shirtwaist Kings." Harris and Blanck's factory was competing with over 11,000 other textile manufacturers in New York City. 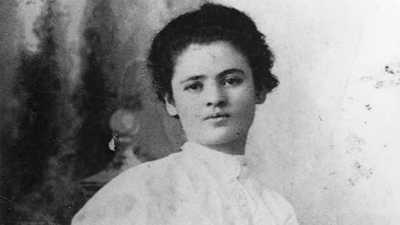 In order to retain their high profit level, they had to produce the cheapest shirtwaist in the largest quantity. They demanded greater efficiency from their production team, which meant working long hours for little pay, and the owners kept scrupulous inventory of their supplies. A foreman monitored the largely female immigrant workforce during the day and inspected the women's bags as they left for the night. As an additional safeguard against theft, Max Blanck ordered the secondary exit door to be locked. Poor working conditions increased dissatisfaction among employees. 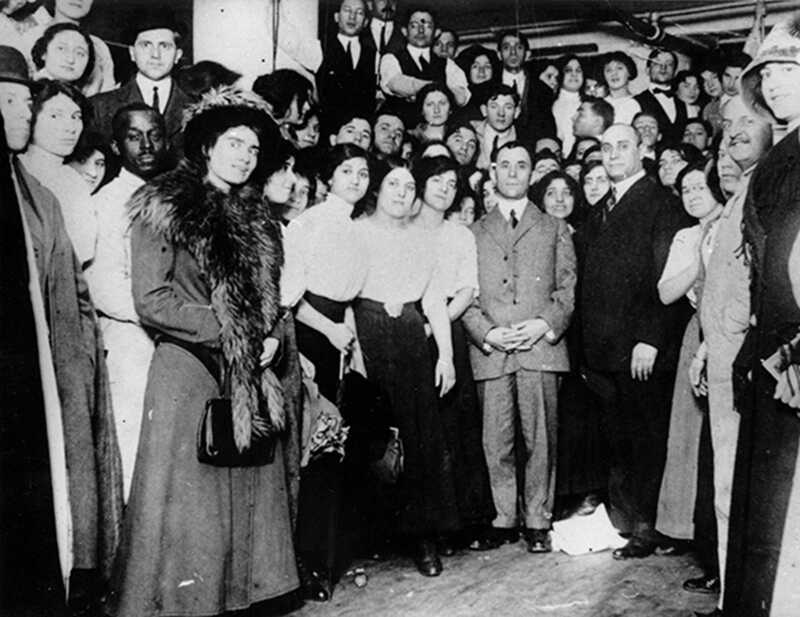 Harris and Blanck's decision to house the factory in a new, modern high-rise building, as opposed to the more common practice of operating several smaller "sweatshops," made it easier for workers to build solidarity and sisterhood, and Triangle Factory workers went on strike in November 1909. As former garment workers themselves, Blanck and Harris considered the strike a "personal attack;" they were particularly threatened by unionization, which they thought posed the greatest danger to their control over production. The owners hired private policemen and thugs to beat, berate, and cause disarray among picketers. As the strike extended into 1910, and the resulting decrease in productivity began to hurt profits, Harris and Black agreed to demands for shorter hours and higher wages but remained steadfast in their opposition to a union. On March 25, 1911, only 13 months after the strike ended, a fire broke out on the eighth floor of the factory. On the 10th floor, Harris and Blanck were alerted of the fire by phone and escaped to safety by climbing over neighboring rooftops. Workers on the eighth floor rushed to escape down the stairs and in the elevator. On the ninth floor, however, people remained unaware of the fire until smoke filled the room and flames were already blocking the exits. Out of the 200 workers on the floor, 146 perished, many jumping to their death on the pavement below. Immediately following the fire, Harris and Blanck began a substantial advertising campaign for their shirtwaists to maintain their image as a reliable manufacturer. They hosted reporters from the New York Times in Harris' home, defending their actions to the public and insisting that they had taken all precautions. Yet the public outrage continued, and people clamored for the owners to be held responsible for the disaster. On April 11, Harris and Blanck were indicted on seven counts of manslaughter in the first and second degree. Harris and Blanck paid $25,000 bail and hired Max Stuer, one of New York's most expensive lawyers. The trial in December 1911 lasted three weeks, and centered on the locked door that would have led to the second flight of stairs. The prosecutor argued that if that door had been kept unlocked, as section 80 of the Labor Code mandated, 146 lives would not have been lost. On December 27, after the court heard emotional testimony from more than 100 witnesses, both Harris and Blanck were acquitted of all charges. Having deliberated for fewer than two hours, the jury cited the prosecutor's inability to prove beyond a reasonable doubt that the men had known of the locked door at the time of the fire. Following Harris and Blanck's acquittal, the two partners worked to rebuild their company. From a small factory on the corner of 16th Street and Fifth Avenue, Blanck acted as president and Harris as secretary. All of their revenue went into paying off their celebrity lawyer, and they were sued in early 1912 over their inability to pay a $206 water bill. Despite these struggles, the two men ultimately collected a large chunk of insurance money -- $60,000 more than the fire had actually cost them in damages. Harris and Blanck had made a profit from the fire of $400 per victim. In 1913, Harris and Blanck moved the Triangle Shirtwaist Company to a bigger location on West 23rd Street. In March of that year, the two men reached a settlement with the victims' families in which the factory owners paid out a week's worth of wages for each worker. Later that year, Max Blanck faced legal action again after he locked a factory exit door during working hours. For this he paid a $20 fine. In December, Blanck was issued a warning after a factory inspection revealed hazardous conditions similar to that of the original Triangle space, including the presence of flammable wicker scrap baskets lining the walls. In 1914, the two owners paid a final fine when they were caught sewing fake Consumer's League labels into their garments, labels certifying the items had been manufactured under good workplace conditions. 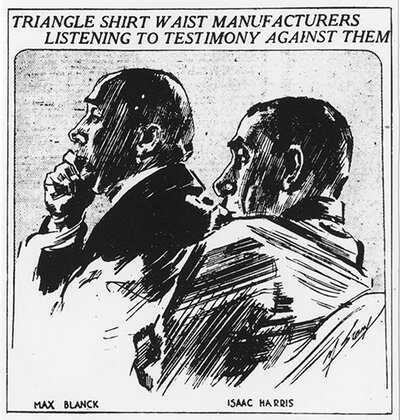 In 1918, Harris and Blanck closed the Triangle Shirtwaist Company. The business had never recovered to the profit level seen before the fire, and the men's tainted reputations had damaged the company's image irreparably. Isaac Harris returned to being an independent tailor. Blanck continued to own other companies, including the Normandie Waist Company, which garnered him modest profits. Pauline Newman worked tirelessly to organize garment workers around the country. She was devasted by the Triangle Shirtwaist fire. Anne Morgan used her family's wealth and connections to bring attention to the women's suffrage movement and the plight of immigrant workers.